FN OWB Holsters are custom made to be the best holsters for all the FN Pistols in the world. FN OWB Holsters for the FN 57, FNX 45, FNX 45 Tactical, FNS9c and 509 and Mag Pouches have been voted the best holsters for the FN Family of Pistols in the entire country by our customers that use them on a daily basis. If you are like me, you have tried every single holster ever made looking for the perfect one to fit the Five seveN or other models comfortably, correctly and remain concealed. There are no other FN OWB Holsters on the market that fit the FN firearms like our natural retention design, so we started offering the FN OWB Holsters to our customers specifically designed for each FN pistol with the best features we could add to make them the best. Has a full sweat shield protecting the gun from sweat getting inside the firearm. Has adjustable belt loops, that can be moved down to position the firearm higher. 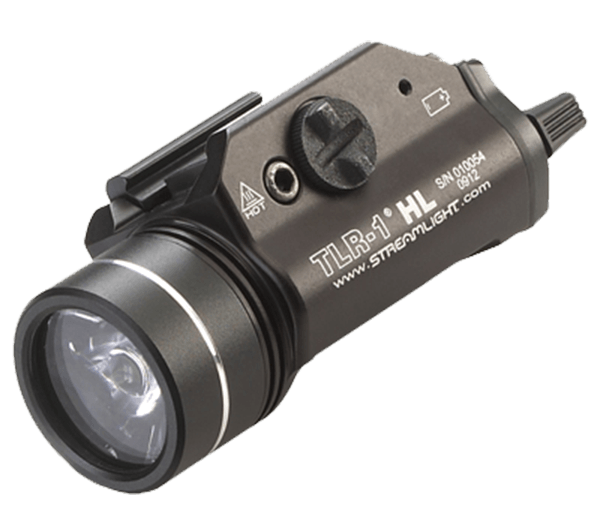 Has natural retention, requiring no clips or buttons to firmly snap into place. FN OWB Holsters available on FN57SALE are the best holsters in the world. We pledge to make the best quality holsters available for all FN firearms. If for some reason your holster does not function as good as the day you got it, contact us for a repair or replacement. The Kydex FN OWB Holsters are ideal for Concealed Carry. Our FN OWB Holsters are designed with comfort and concealment in mind. We use .080 thick Kydex to ensure durability and quality. Our FN OWB Holsters are perfect for everyday concealed carry or tactical use in combat mode for open carry. They are designed so well, you can conceal the full-size FN Five seveN while wearing a T-shirt. 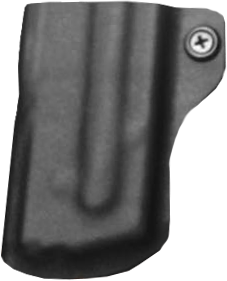 The Mag Pouch allows you to carry an additional magazine of the opposite side of the holster. A Mag Pouch with an extra loaded magazine is always recommended in case you need to clear a malfunction quickly or you are confronted with a situation where one magazine is just not enough. Our Mag Pouches are designed in the same way, and have retention, are extremely comfortable and are ultra concealable. *You need a thick leather gun belt to take full advantage of the holster design. 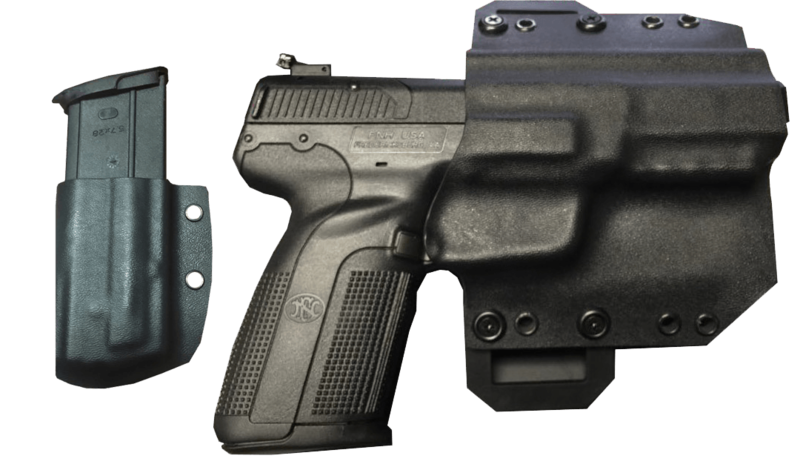 We now offer our FN OWB Holsters with the Viridian ERC Instant On/Off feature installed into the holster. 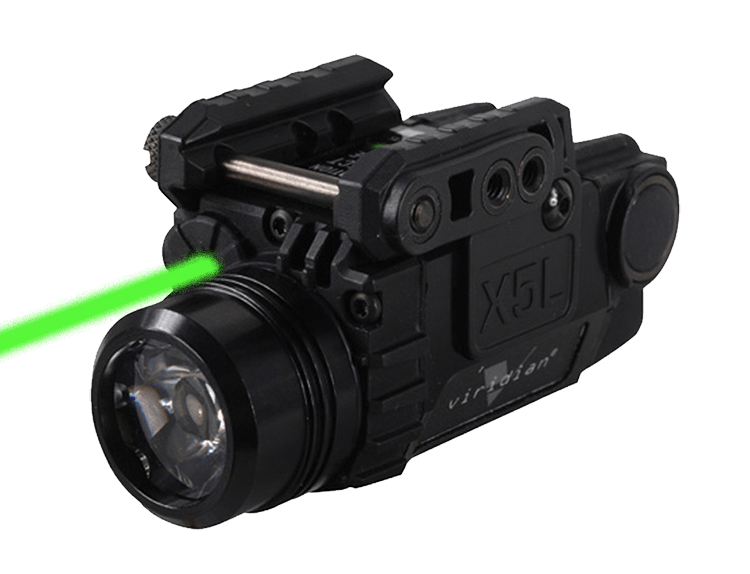 The TACLOC Holsters are designed to automatically turn the Viridian lasers and or light on when drawing the firearm from the holster and automatically turn off the Laser/Light upon reholstering. These holsters are perfect for all who have FN Firearms with the Viridian ERC instant on/off Lasers and or Lights and want a comfortable OWB holster option that functions and conceals perfectly.